Many of us view vacations as a time to not worry about what to wear, and just want to hang out in casual shorts, t-shirts or bathing suits. But sometimes you want to look more polished, and if it’s a cruise or overseas trip you might need to. 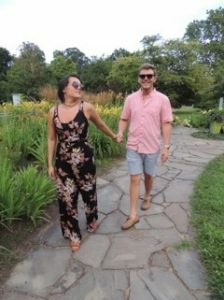 I have broken down this article into type of vacation, so take a look at where you are going, and where you may want to go next time! 1. Of course a beach vacation is mostly casual, so bring along your bathing suits, cover-ups, flip-flops and shorts. For women there are a lot of pretty casual options that are more interesting than ripped shorts and a t-shirt. A maxi-dress or long skirt or a romper can take you from day to night in a casual atmosphere. 2. Try ruffle details and wear color. Bathing suits, blouses and dresses can showcase fun details or bright colors. It’s a good time of year to experiment with styles you might not wear during the more conservative fall/winter months. 3. Cruises often have one formal or Captain’s night. Check your itinerary dress code before boarding so you’re prepared. Chances are you will need at least one suit, formal or cocktail dress (along with coordinating accessories). 4. Other times dress comfortably. It’s a good idea to have a number of options as you may want to change once or twice during the day. Certainly for off-shore excursions you want to dress practically, with a layering piece and comfortable shoes. On the boat casual wear is fine. For evening activities you may want to be more dressed, especially if you are attending a nightclub or disco. 6. Country. Make sure you take clothes for any specific activities you plan on such as golfwear or yoga clothes. Otherwise comfortable, casual and flowing will be perfect. 7. If you are taking a vacation tour through various cities or countries, you want to consider Global Fashion, rather than focusing on the styles in the specific areas you’re traveling to. Global Fashion is an international or continental look that will be suitable in most cultures,and settings. For men, Armani or Hugo Boss offers excellent travel looks that are appropriate worldwide. 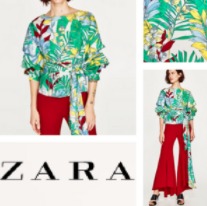 For women, Comme des Garçons,Proenza Schouler (although many of their pieces are gender-neutral) and for the more budget minded, Zara, are the go-to international brands. Women can also check out https://globalfashion.space/ to see what designers in London, Norway, Spain and Milan are showing.